I am sure that most of you are aware that of the cemetery lists and other resources online many or most have both errors and omissions. I am sure that anyone who reads a cemetery is going to do a less than perfect job. On top of original errors or misinterpretations, some of these cemeteries have been typed and retyped over time adding another layer of possible errors to them. 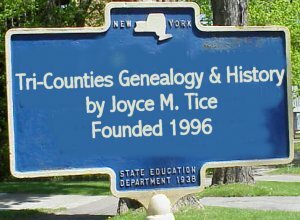 As with all genealogical material the user needs to be aware that one item does not a proof make and that any such material needs to be confirmed through other sources. I have even found bona fide vital records that were wrong, and I am sure you have also. It is one of our functions as researchers to sift through all and determine truth to the best of our abilities. Stone cutters make errors also, so even some of the tombstones themselves are in error. We present what we have available to the best of our abilities. 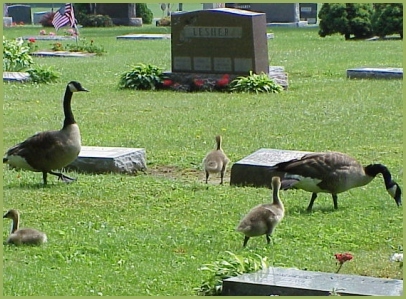 Many of the cemetery listings are outdated and need to be done again. You are invited to become of the group of hard working and dedicated volunteers who have given you the gift of this site. Census takers had handwriting as poor as any of us, and we do our best to transcribe their records as well as we can. They made mistakes and we do too. The published histories that we present on this site have errors -blatant mistakes - of the type that any researcher makes even now. Additionally the traditions of earlier times caused writers to idealize their times, to discount or eliminate information about women and minorities or to portray them through the filter of bias and stereotype. We present this to you as the best that we have available. It is your job, as a researcher, to evaluate this material and make sense of it. My own opinion is that making these records available to the genealogical community, particularly to those who can not come here to actually search through the cemeteries and other resources, is a service that has value. While I regret any imperfect work that does exist on these pages, I trust that the sophisticated researcher will understand the possibility of error and will eventually check original resources to resolve any potential conflicts that may arise. As with any material, it adds to the clues that you have to work with and will eventually be an aid to you at arriving as close to truth as you can get. In a project of this magnitude, perfection is certainly a goal and an ideal, but it is not achievable in a realistic sense. The alternative is to do nothing or to do very little, screening out all but the proven items. I do not have the resource to collect, dispense, and administer this resource and still confirm that everything on it is absolutely true. It represents the efforts of many people over a wide span of time each of whom has contributed her or his very best, and I am passing it on to you as well as I can. So, be warned, and use the resources accordingly, with due caution. Many dedicated persons helping me have made these materials available to you. We give all of this as a gift to you. We appreciate your thanks as that is our only payment, and we appreciate that you will not be critical of errors, some of which are ours, and some of which we carry on from our predecessors. I agree with your premise. It isn't just retranscribing cemetery records the introduce errors. I am in the extended process of transcribing the head stones in our local cemetery, our gen soc spent several days transcribing the info, I then entered it in a database. I took section one galley and error checed it To my dissapointment my database was riddled with errors. I noted these and made the corrections. Last summer we rechecked my transcription and I still had over two dozen errors in section one. I finally have had to accept that I will never get it error free.